Never run out of power again while using your mobile gadget on the road. 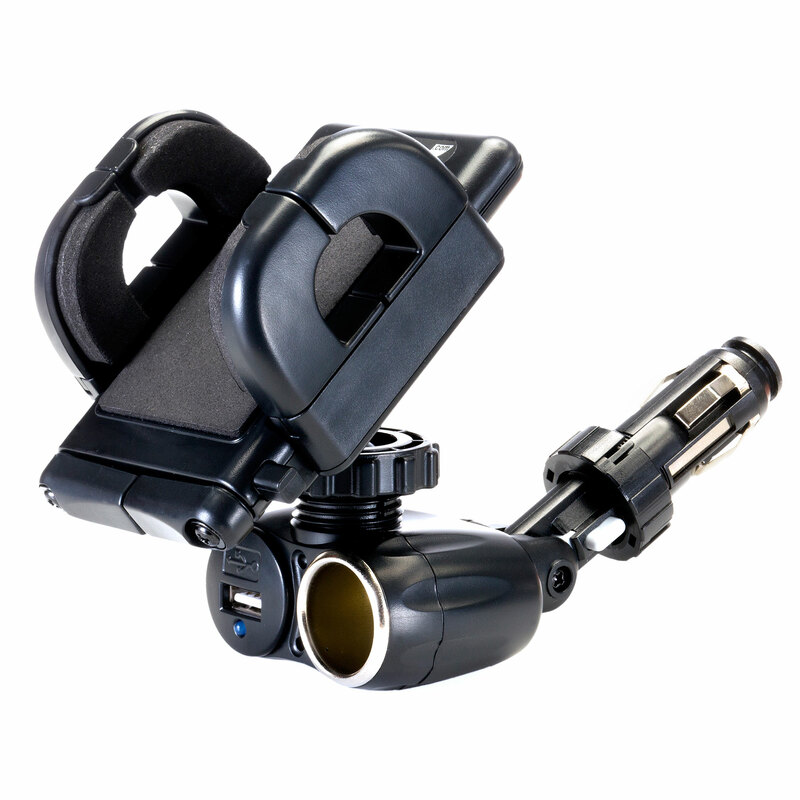 The Gomadic Dual Purpose Cigarette Lighter Mount and Holder is the ideal solution to quickly, easily and securely mount and power your device and other mobile electronic ones. 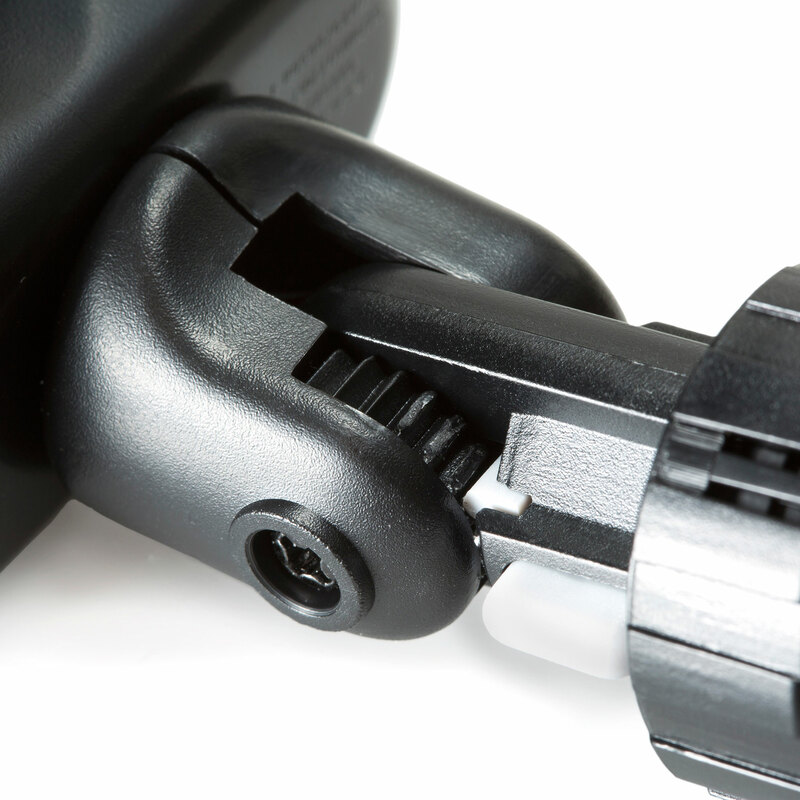 The Gomadic non-slip holder keeps your device safe and holds it steady. 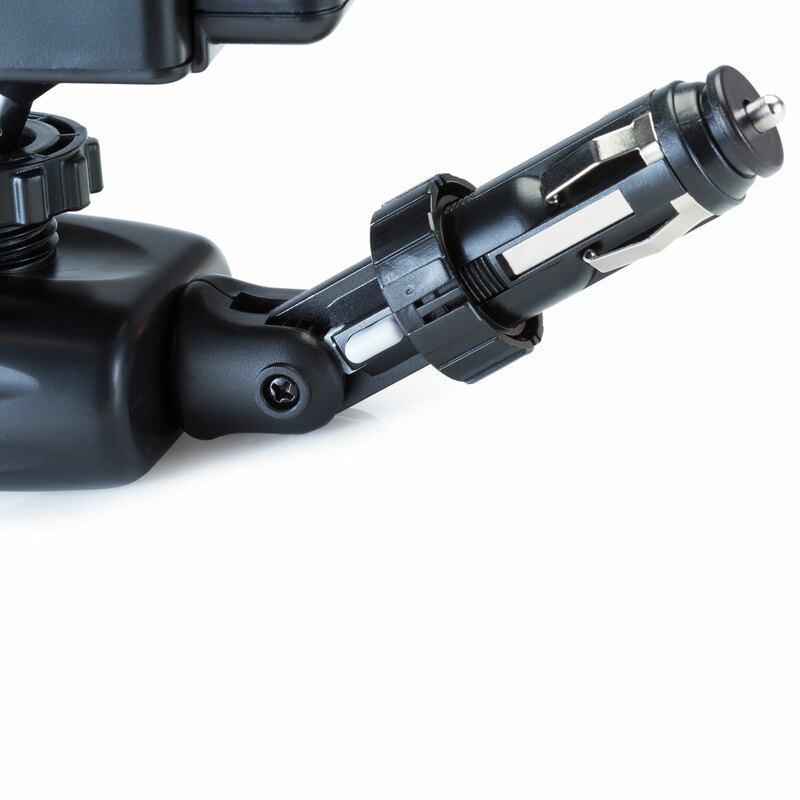 With its 360-degree rotating head, you can position your device vertically or horizontally, and at any angle you need for easy viewing. 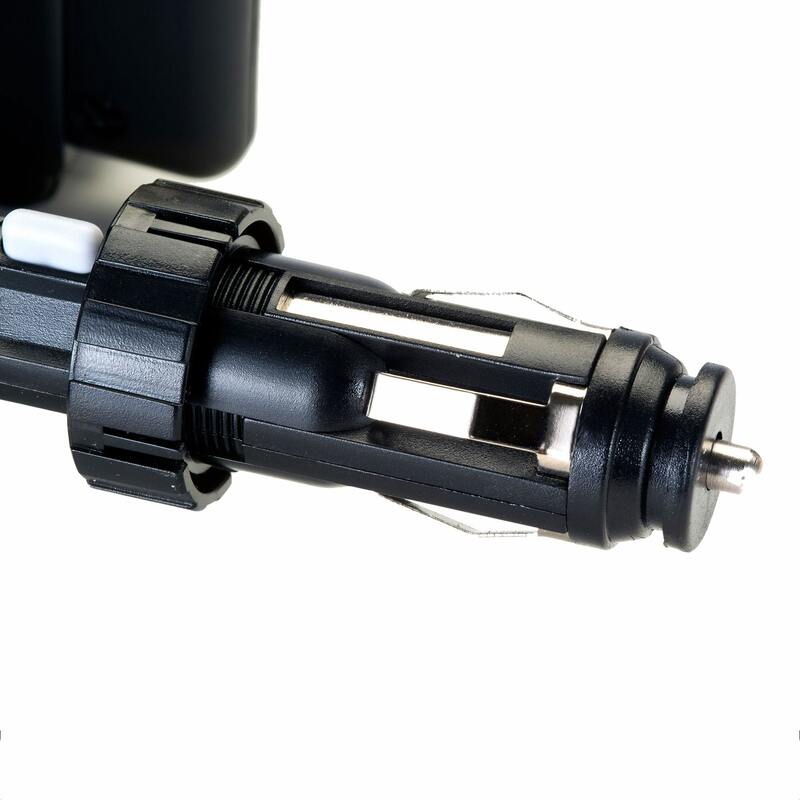 The cigarette lighter mount includes both a charging USB port and a 12V receptacle - charge your gadget via the USB port while keeping the 12V receptacle open for other devices. This is a great option for you road warriors who want a hands-free option that keeps your device fully charged. 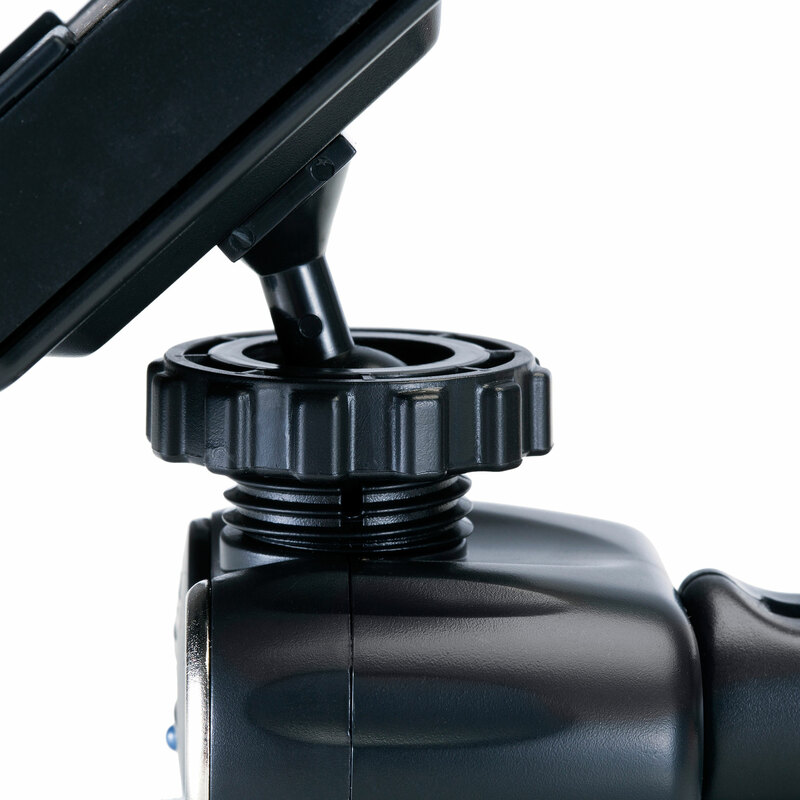 Expandable bracket/cradle holder easily accommodates your mobile electronic deivce. 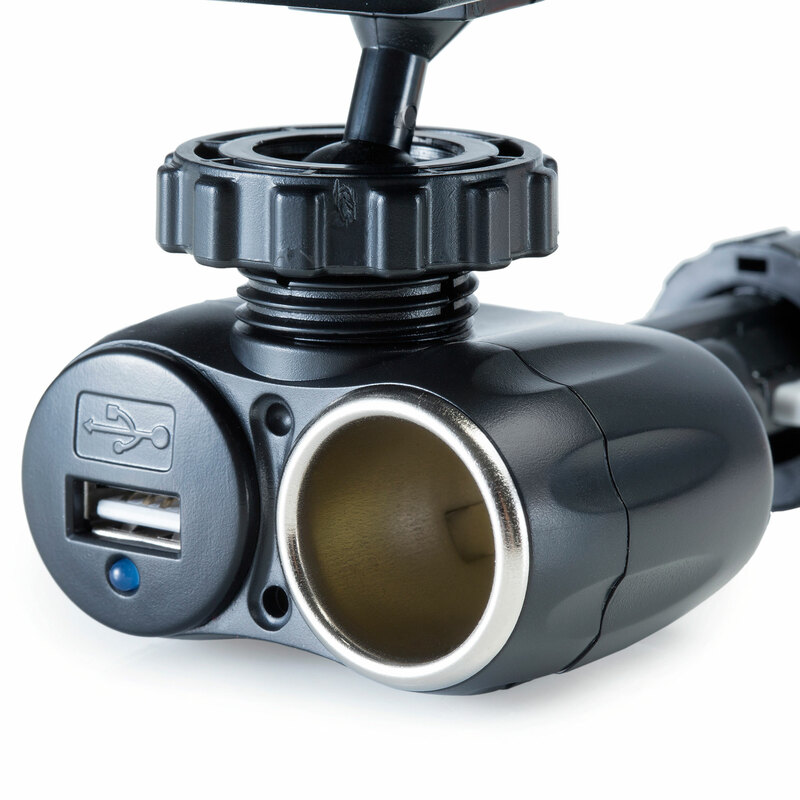 Connect your device to the mount via the universal USB power dock and charge a second device from the 12V receptacle. 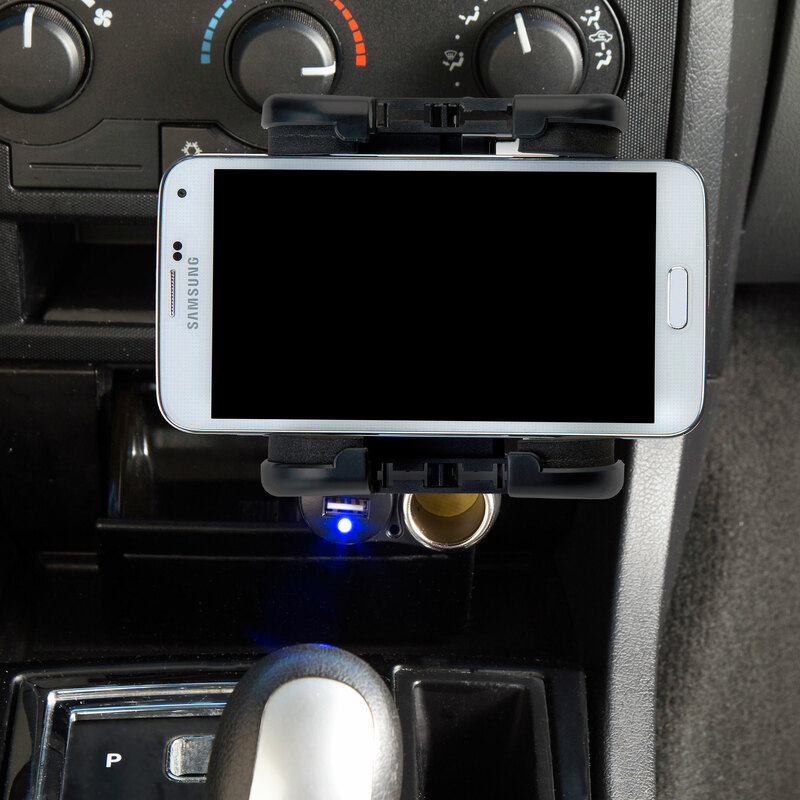 Cigarette lighter mount provides full access to your controls while you charge your device.